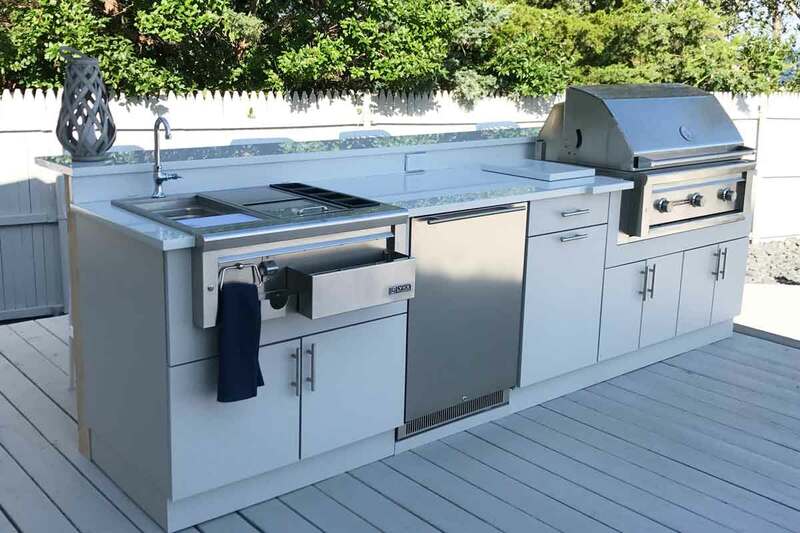 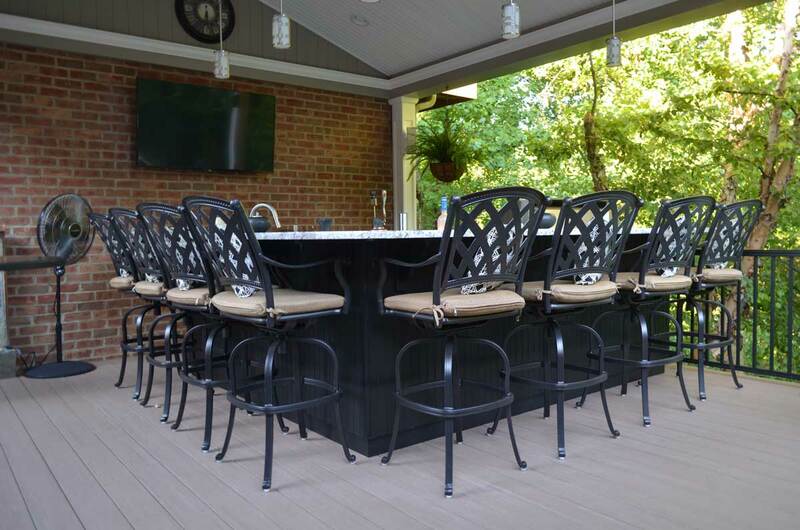 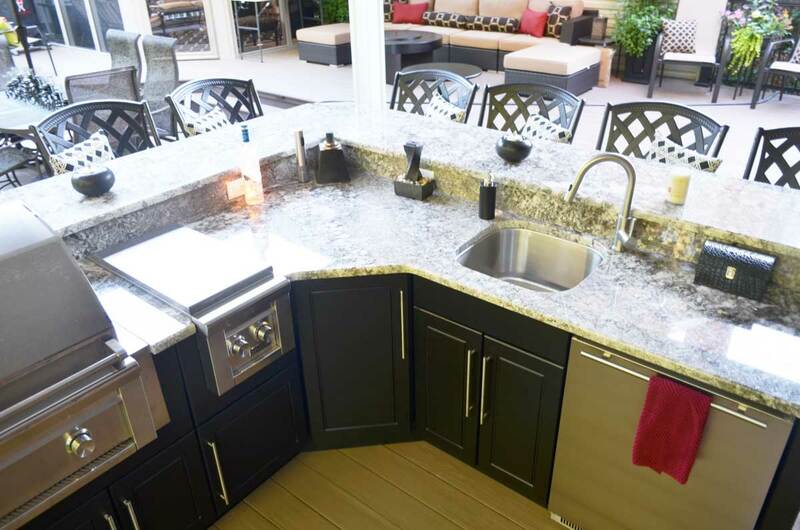 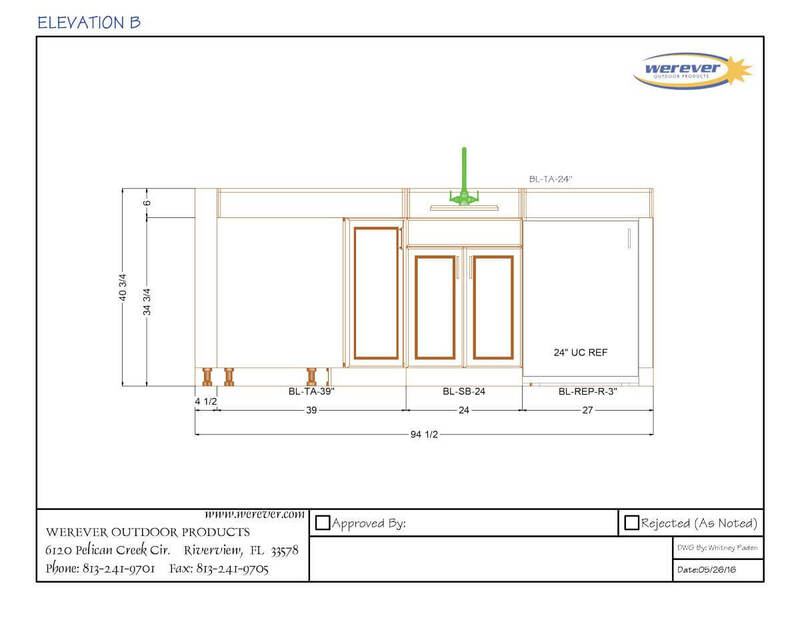 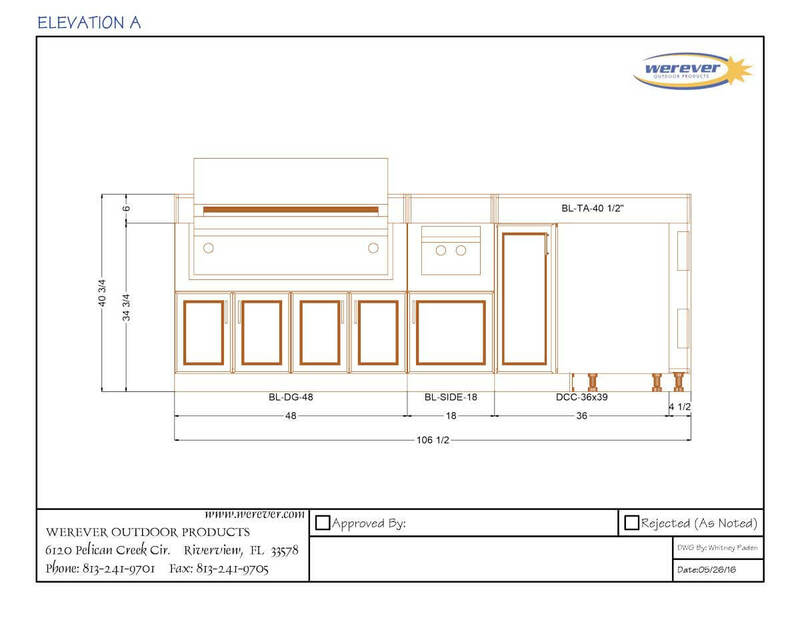 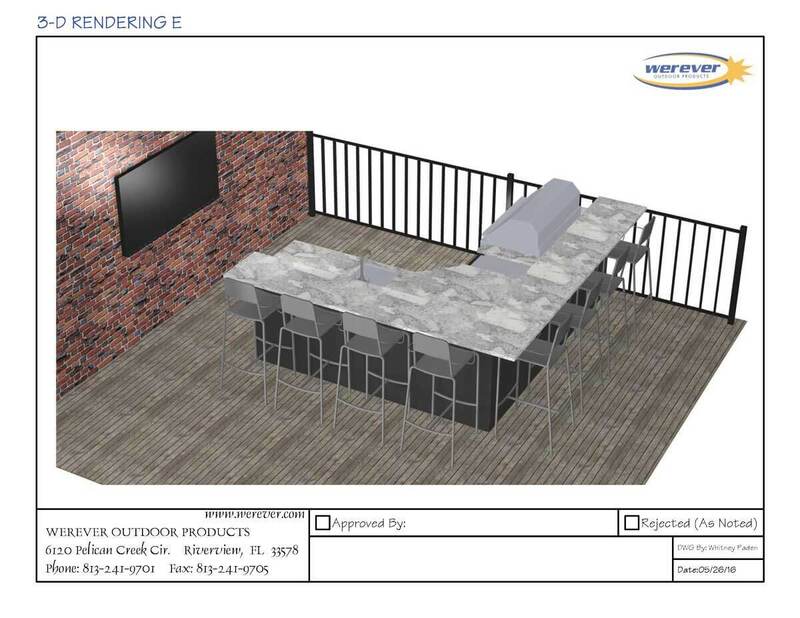 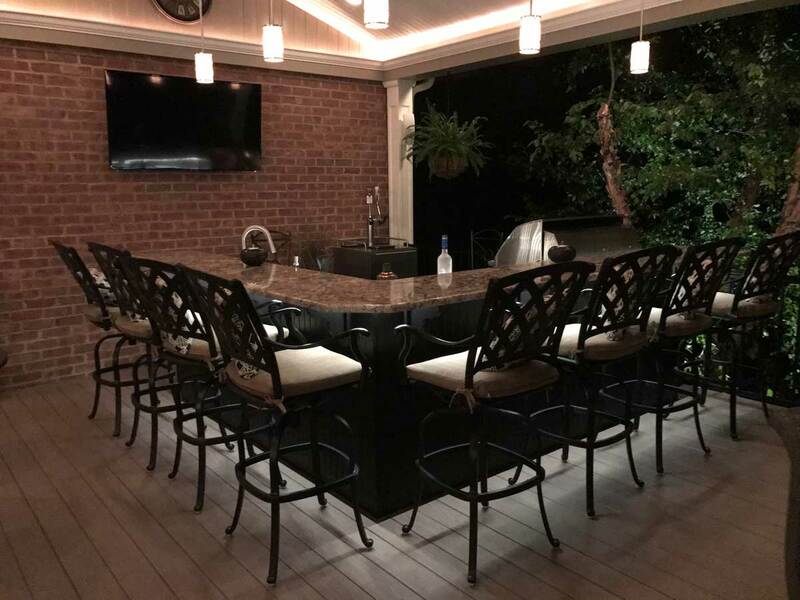 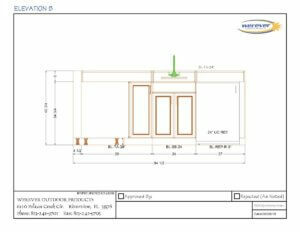 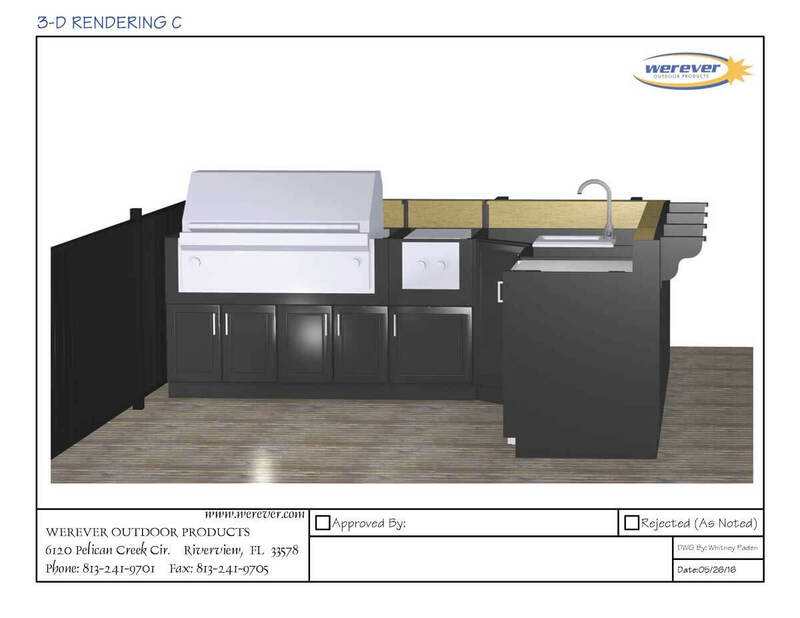 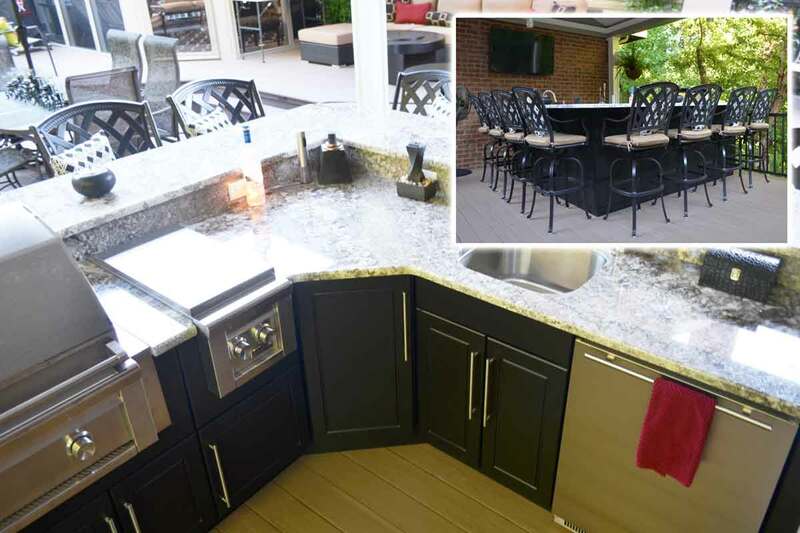 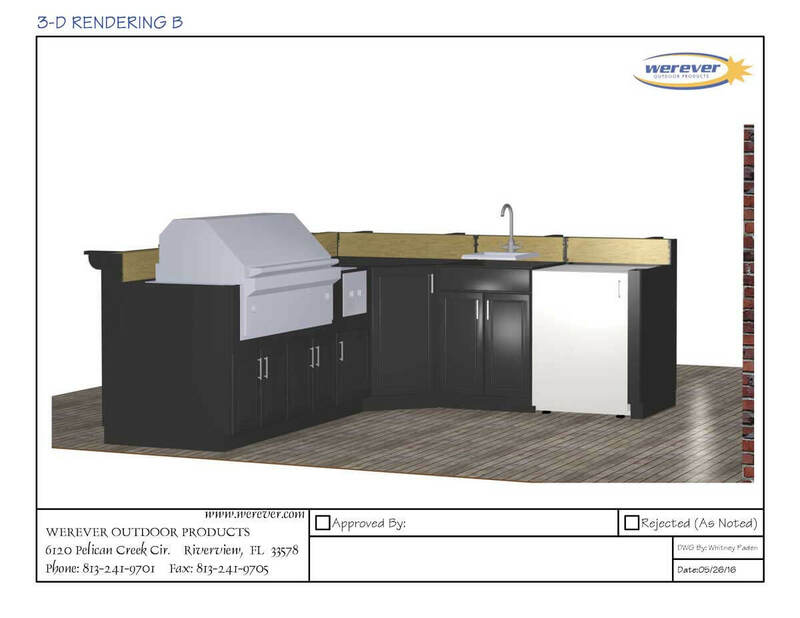 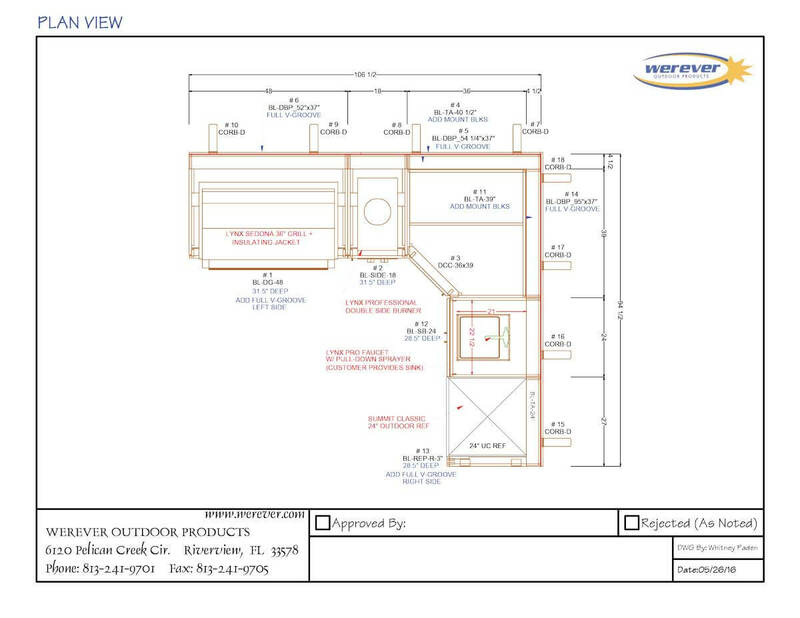 During the deck expansion project for their home in Pennsylvania, this client reached out to us for assistance with their outdoor kitchen design. 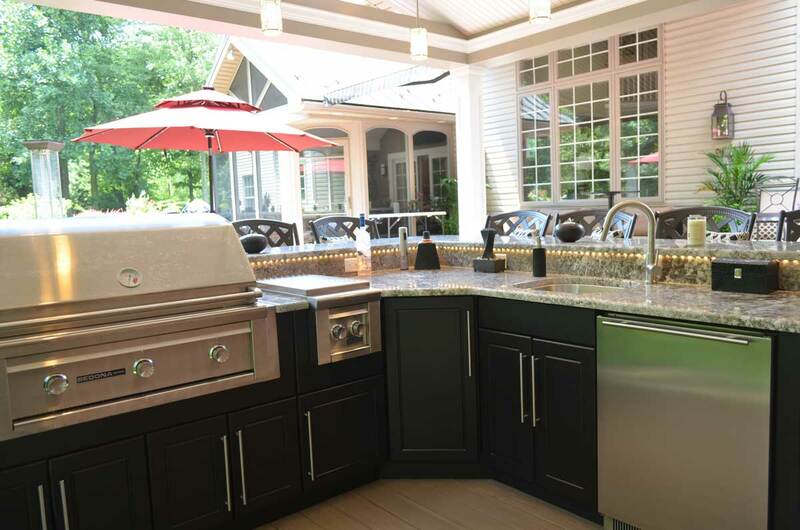 We worked together to come up with design that would incorporate every need they had for grilling and cooking, serving and entertaining. 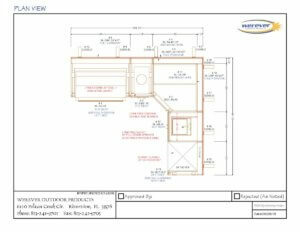 The customized design fit the perimeter of their new space. 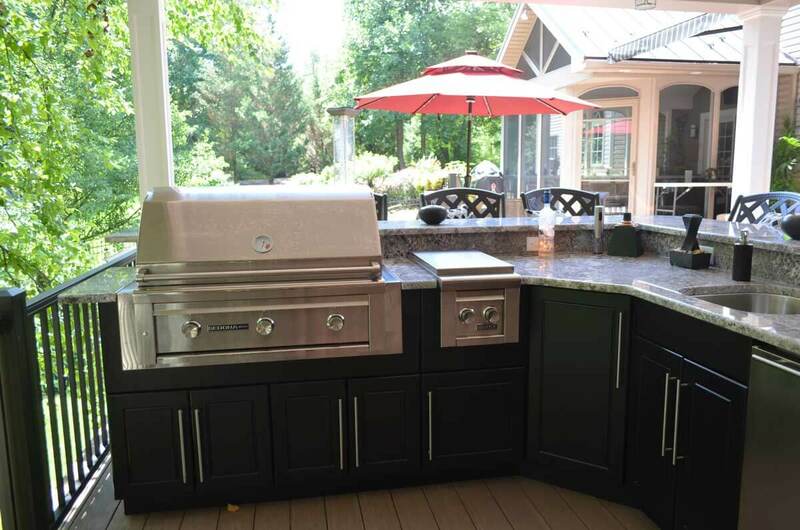 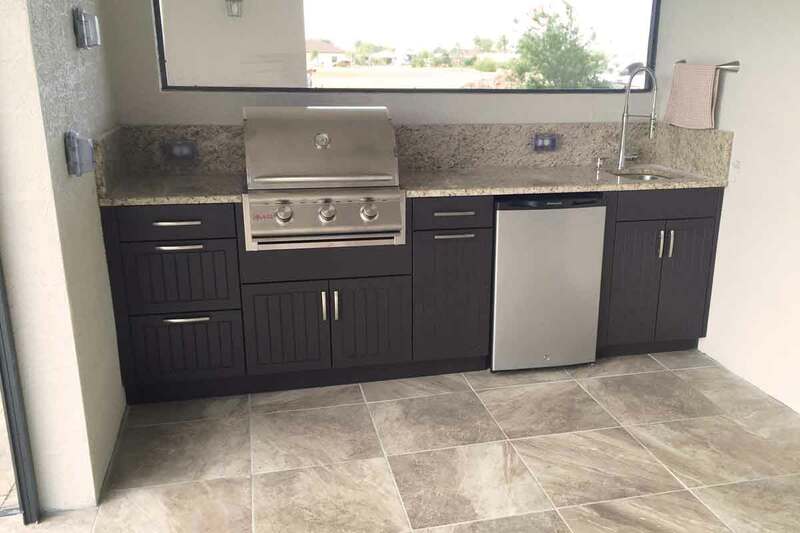 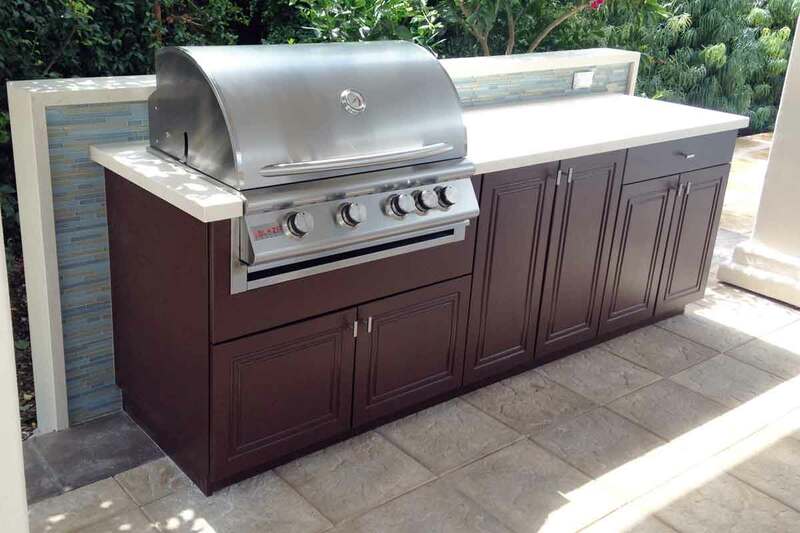 On recommendation, the client selected a Lynx Sedona Grill and Professional Double Side Burner built-in the outdoor cabinets. A diagonal corner cabinet turns a space in a layout that is often overlooked into useful storage. 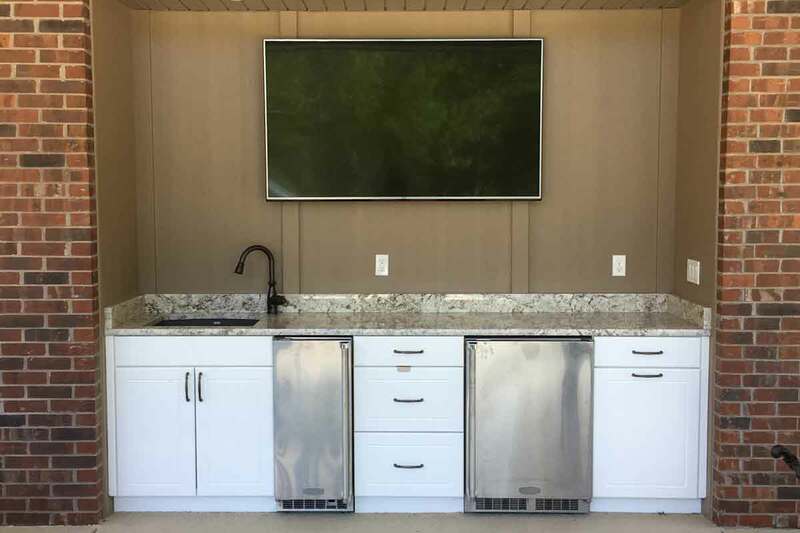 A sink and refrigerator complete the kitchen for prep, serving and clean-up. 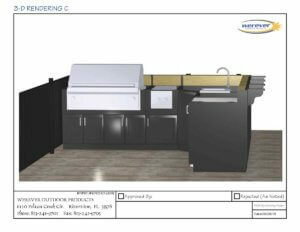 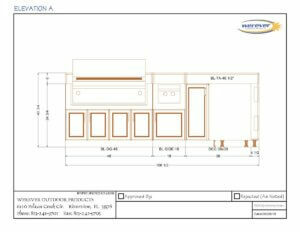 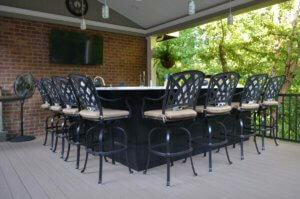 The bi-level cabinetry in this 9ft x 8ft layout provides adequate and comfortable bar seating space for up to 8 persons. 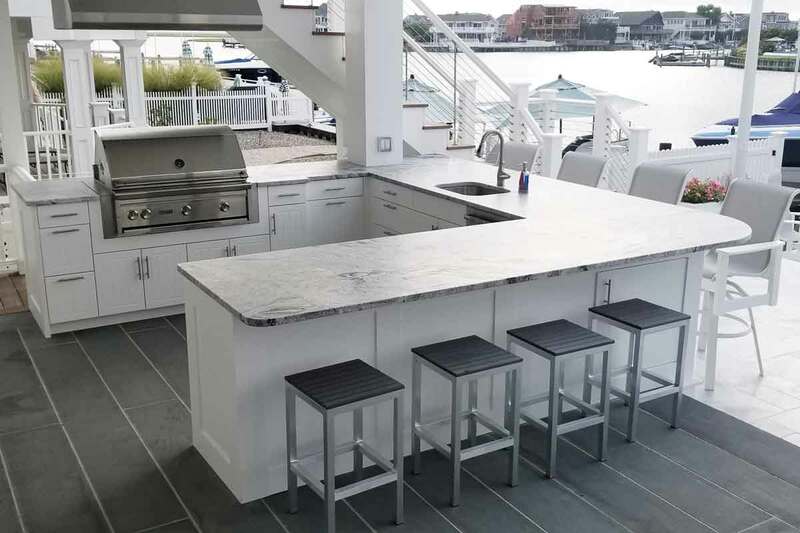 Our Full V-Groove detail adds a beadboard look to the finished ends and back panels. For nighttime ambience, the client added rope lighting under the bar top and on the backside of the bar. 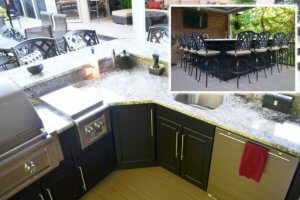 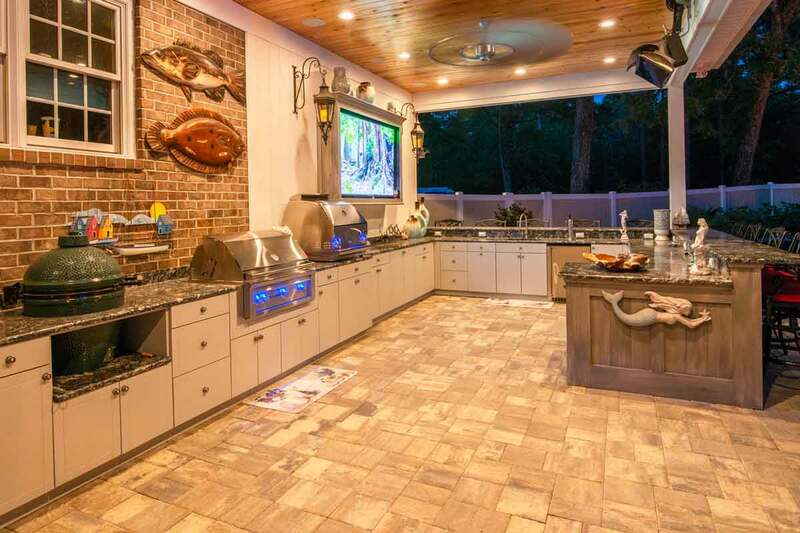 The result is a beautiful outdoor kitchen and bar, day and night, for entertaining family and friends.